One small metallic foil umbrella. 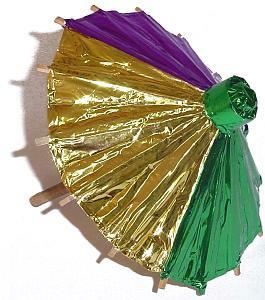 The umbrella is divided into three sections: purple, green & gold. It is approximately 7.5" wide when open, and 7.5" tall.